Portable Cart is rated 3.2 out of 5 by 24. Rated 5 out of 5 by easygriller from Great Cart-Owned it for years ! I bought this cart for my original "Q" gas grill when there was only one version! I have replaced the grates but nothing else! The cart has been terrific! It's just the right height and I do not find that it is poorly made or that it wobbles! I can store two 20lb. gas tanks underneath if need be. One in use and one as a spare, as I use the special adapter for the large tanks for the "Q" grill! I use the "Q" cover and keep every one protected from rain and snow on the deck. Could not ask for more until I move to and apartment, then the cart cover and side tables go with me to join an electric Weber to become an E-griller! Rated 3 out of 5 by jtrech from Worked while it stayed together I bought this about a year or so ago and had used it 4-5 times and while it was together it worked great. Good maneuverability easy to set up and take down. However the bad came when the rubber pieces on the handle popped off causing the handle to detach from the cart. Cart crashed to the ground and i ended up not able to find the pieces to put the handle back. Looked to see if there were replacement parts but I couldn't find any. I love the grill but now am weary about spending another 70$ on the same item that had failed me. Rated 1 out of 5 by Michael987 from Very Disappointing! 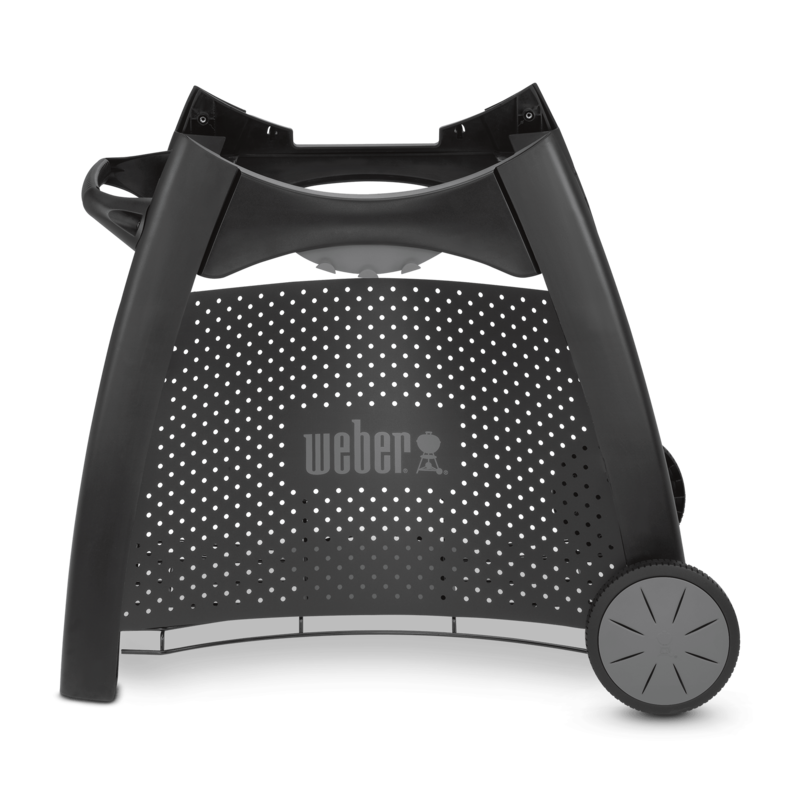 Weber should have known better when releasing this product. It is wobbly, weak, does not hold the grill as securely as needed and does not match the strongly built look and feel of the rest of their products. It does not feel like it will last very long. A much stronger solution is needed to provide reliable and confident towing across terrains and using when standing still. I will use an alternative towing solution and have no problem using the grill on the ground or a picnic table.